Damu, Ding Dong, NKC, Solo Banton, Ghedalia Tazartes and more. 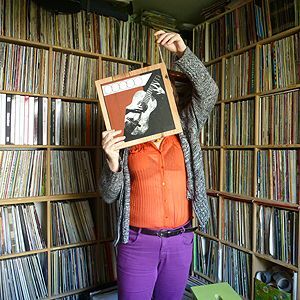 &apos;Which ones did she forget?&apos; In her January show Marcelle tries to play some of her favourite vinyl from last year. Obvious choices like Elektro Guzzi sit comfortably next to Oubys, Rrose is in the company of Omar Souleyman and DJ Spinn and Tirudel Zenebe meet on this show again. Container provided one of the highlights of 2011 according to our travelling DJ, and so did Africa Hitech. The list is as endless as a three hour show (still including regular features Wax Across The Water and Look Back Bore Vinyl) allows so in the end Marcelle predictably got frustated because of the tracks she did not and/or forgot to play. For this she found an escape route in the Review Show, elsewhere in the schedules. Plus, watch out for the Umlauts Special show.